<Prev . . . . . . . . . . . . . . . . . . . . . . . . . . Click image to enlarge . . . . . . . . . . . . . . . . . . . . . . . . . . . . . . . . . . . . .
Cearadactylus ligabuei è il nome provvisorio di un nuovo genere di Ornithocheiridae non crestato, ritrovato nella Santana Formation, in Brasile. Risale al Cretaceo Inferiore ed aveva un'apertura alare di circa 4.5 metri. Non ancora ufficialmente descritto (ma io conosco già il suo nome per intero! ). Cearadactylus ligabuei it's the provisional name of a new genus of uncrested Ornithocheiridae, found in the Santana Formation, Brazil. 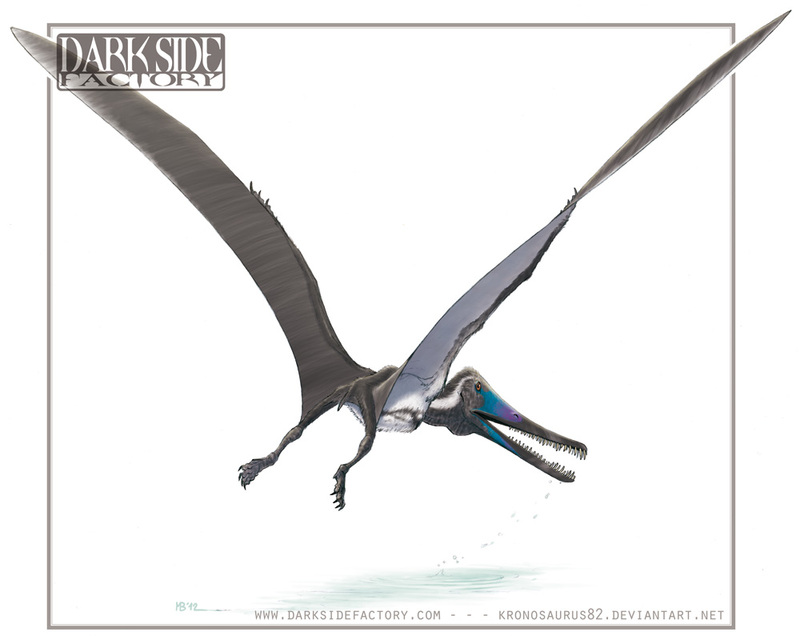 It lived during Early Cretaceous and had an estimated wingspan of about 4.5 meters (15 feet). Not yet published (but I already know its full name! ).